Christianity 21 was founded by a small group of ministers and laymen who are eager to interpret the basics of a radical Christianity for the present day. We believe there has been a lack of opportunity in recent years for Welsh-speakers to discuss the nature of Christianity in our age. 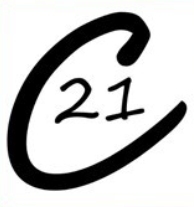 Because of the level of interest generated, C21 has organized national conferences, with the next being held on June 11th in Aberystwyth, along with weekend retreats. Speakers have been invited from the community of theologians and poets, authors, dramatists and social commentators – from Wales and beyond. It is an ever-evolving community. Where next for C21 is unknown, but we hope to continue to provide a platform for progressive dialogue and challenge, meeting the needs of those who wish to express matters of faith in Welsh. In 2016, C21 became affiliated to PCN Britain, and on 23rd October will host Bishop Jack Spong in Cardiff.